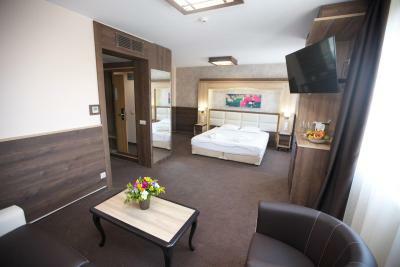 Lock in a great price for Silver Hotel – rated 8.3 by recent guests! Good breakfast and room cleaning. Easy for travellng with car. Nice location, near a park. Not exactly in the city center but both the center and the ring road were relatively close. The back side of the hotel was looking at a quiet green backyard. We were stayng only for a night, so did not get to try all the amendities (even the breakfast) but the staff was polite, there is a large paid parking (10 BGN per night), and the bathroom was hude and very nice, the bed was comfy. Love the place, nice, clean and quiet, the additional underground parking def helps as well as the descent gym. Been there many times and never disappoints. The hotel was good to spend the night. During the day we were with friends hanging around. So I did not try the fitness center. Breakfast was nice. The room was a bit "vintage" but the bathroom was comfortable and very clean. WIFI connection is really good in all the hotel, even in the terrace. 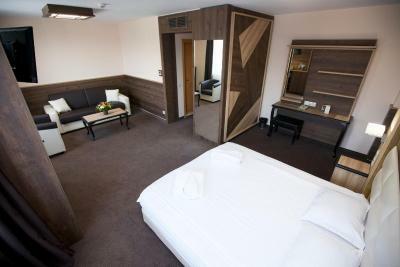 As of March 2018 the hotel furnishing was new and in good condition. Excellent location if you use your own transport. Hotel is good, rooms spacious and clean. Location is appropriate when travelling by car. 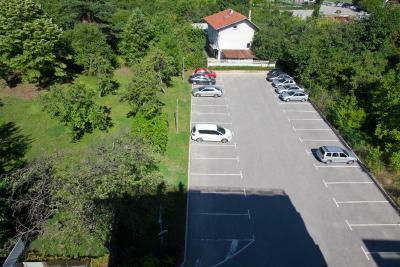 Comfortable parking lot (extra charge 10 BGN per day, which is fine). Personnel not the fastest, but friendly and polite. Check-In takes too long, but as you pay at arrival you save time when checking-out. Did not have breakfast, so cannot comment. Clean, modern, location. Friendly staff. Good breakfast. Clean, modern, nice room. Good breakfast... Not too many choices, but good. Easy to reach by car. Parking, but at extra cost, roughly 10 Eur. Silver Hotel This rating is a reflection of how the property compares to the industry standard when it comes to price, facilities and services available. It's based on a self-evaluation by the property. Use this rating to help choose your stay! 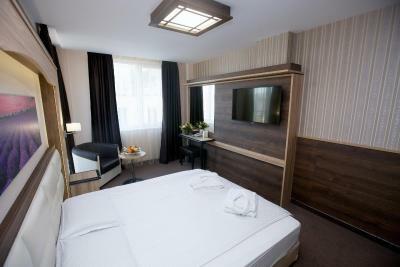 One of our top picks in Sofia.Silver Hotel is located In Sofia and next to a large green park, perfect for relaxation. Sopharma Business Towers are a 7-minute drive away, Inter Expo Center is a 10-minute drive away and the Grand Sports Hall Arena Armeec is 0.9 mi away. Enjoy a drink in the stylish bar and sample an assortment of cuisine in the elegant Bijou restaurant. 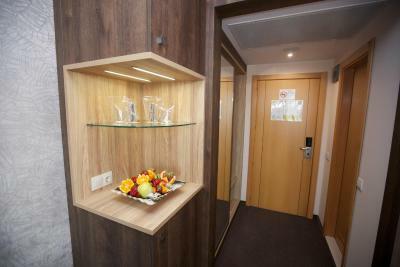 The tastefully decorated, fully-equipped accommodations provide you with the air of tranquility. Make use of the free gym and free WiFi throughout the hotel. A secure parking is available against a surcharge. 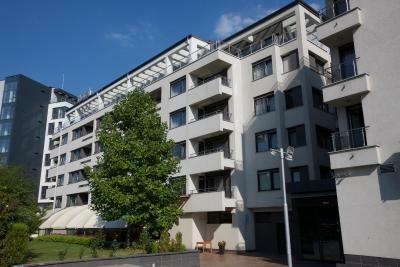 Sofia City Zoo is only 650 feet from Silver Hotel. Paradise Center, a vast shopping and entertainment center, is 1.6 mi away. Interpred business area is a 12-minute drive away. Sofia Airport is a 15 minute drive away. Pickup from the Airport or Central Train Station pickup can be organized against a surcharge. When would you like to stay at Silver Hotel? The Comfort Double or Twin Rooms overlook the park and the garden, some of them with balconies. 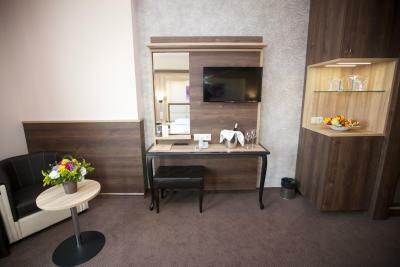 Fully equipped and stylishly furnished, the Family Apartment combines the home coziness and the comfort for families and facilities needed for business travelers. They are suitable for a long stay, and consist of a kitchenette, a dining room and a terrace. This rate is valid only for up to 2 adults accompanied by 2 children up to 12 years old. House Rules Silver Hotel takes special requests – add in the next step! 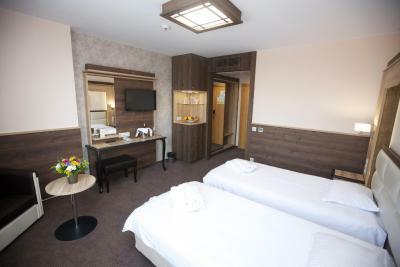 One older child or adult is charged BGN 39.12 per night in an extra bed. Silver Hotel accepts these cards and reserves the right to temporarily hold an amount prior to arrival. Please note that the airport shuttle from Sofia Airport needs to be requested at least 24 hours in advance. Contact details are stated in the booking confirmation. Please inform Silver Hotel of your expected arrival time in advance. You can use the Special Requests box when booking, or contact the property directly using the contact details in your confirmation. Room was set up for 1 person when we booked for 2, minibar was empty. Hotel has two separate entry and need to pass through restaurant. The room needed a bit of refreshing. Only one pair of slippers. It was extremly cold on the room, by brief estimation in-between 10-15 Celsius. The heating system was actually set to 26 degrees, so the heating was obviouslly not working. This hotel has Standard room without a kettle. If you want to get cup with hot water, you can get it from bar for free. But if you want Teabag than you must pay extra. Than I was send to reception for confirmation this info. The person from reception confirmed that they dont have Teabag for free and Coffebag/Nescafe/ dont have. If you dont want pay extra for tea which you would like prepare in your room, dont forget bring your own Teabag with you to this hotel. Or for Tea for free from this hotel you must waiting till breakfast if you have it included. 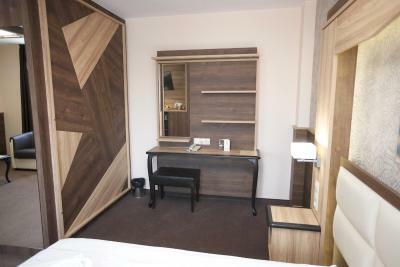 Another similar 4* Sofia hotel /when I spend time 1 day ago/ dont have kettle in their room too, but you can get from their bar the pot with hot water together with choice from their Big Box with Selection of Teabags and Nescafe and that everything is for FREE.